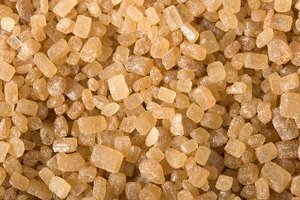 Brown sugar is a strong-flavored, moist sugar often used in baking and glazes. When a recipe calls for brown sugar and you don't have it on hand, try one of these quick substitutions. Brown sugar is really just cane sugar flavored with molasses, which is a by-product of sugar. Make your own by adding 1 or 2 tsp. of molasses to a cup of sugar, and use cup-for-cup. Using white sugar in place of brown will result in a different, lighter flavor and may alter the texture in baking, but it will work in a pinch. It's not recommended for baking, but if you're looking for a substitute in a sauce, marinade or rub, molasses alone both sweetens and adds a distinctive flavor. Add gradually, to taste, and add white sugar if needed. 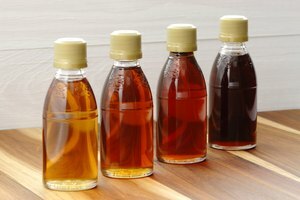 If you don't have molasses but have honey on hand instead, it can be used in place of brown sugar, but expect a different result. In baking, use just under 1 cup of honey per cup of brown sugar, and decrease the amount of liquid in the recipe by 3 tbsp. Less improvised, but a substitution all the same, commercial brown sugar substitute can be used in place of regular brown sugar to cut calories. 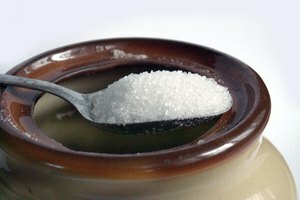 Because sucralose is much sweeter than sugar, replace 1/2 cup of brown sugar substitute for 1 cup of regular brown sugar.